Shout! Studios has provided ComingSoon.net with an exclusive clip from the animated feature Tito and the Birds, which you can check out below! 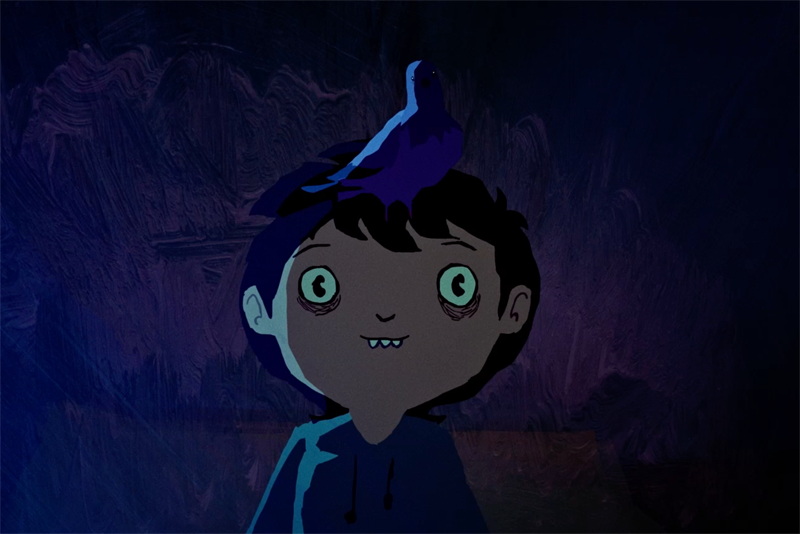 A film about a shy little boy and his journey to save the world, Tito and the Birds is a stunning work of filmmaking with a socially relevant story. Mixing expressionist influences with a vibrant palette and a variety of animation techniques, this gorgeously animated film tells an uplifting and insightful adventure about a boy fighting to find out what is right and to learn how to overcome his own fear. Nominated for an Annie Award for Best Animated Feature-Independent, the film is directed by Gustavo Steinberg (End of the Line), Gabriel Bitar (Cidade Cinza), and André Catoto (Say I Am Only Seventeen), written by Eduardo Benaim and Gustavo Steinberg, and features an original score composed by Gustavo Kurlat and Ruben Feffer (Academy Award-nominated animated feature Boy and the World). Tito and the Birds premiered in competition at the 2018 Annecy International Animated Film Festival to great audience enthusiasm and critical praise, and won the Best Feature for Children at Anima Mundi 2018. Tito, a shy 10-year-old boy, lives in a world on the brink of pandemic. Fear is crippling people, making them sick and transforming them. Tito realizes, based on his father’s past research, that there may be a way to utilize the local pigeon population and their songs to create a cure for the disease. His father was forced to leave when Tito was only six and the struggle to find a cure becomes linked with the search to find his father again, along with his own identity. Part action, part drama, Tito’s journey is at once an uplifting and insightful adventure about a boy fighting to find out what is right and to learn how to overcome his own fear. Tito And The Birds opens in NYC January 25, and in LA, San Francisco and other major markets starting February 1. The post Exclusive Clip From the Animated Film Tito and the Birds appeared first on ComingSoon.net.